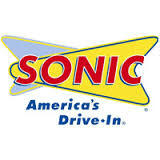 No one was hurt when a SUV smashed through the wall of the Sonic Drive-In, 1169 West Main Street, Tuesday afternoon. Initial reports from League City police indicate that an 83-year-old woman was next door at the Popeye’s restaurant. As she was pulling out of that parking lot, she put her foot on the gas pedal instead of the break of her Honda Pilot, police said. “She went through the shrubs (separating the two restaurants) and struck the east side of the Sonic,” League City Police Department spokeswoman officer Reagan Pena said. Yikes! An SUV seems like a pretty big vehicle for someone who is having pedal problems. Fortunately nobody was hurt. You’ll find the source, including a photo of the scene, here.